In a society that is completely obsessed with body image and weight, it is inevitable that at some point in your life your weight has been a topic of conversation. Whether you are "skinny" or "fat", it seems acceptable for it to be discussed, either privately by other people, or to your face directly. But is this really okay? Even if there are more "obese" people than ever, is it really okay to announce to someone that they have "put on a bit of weight" or "need to lay off the cakes". Is it acceptable to tell someone they "need to eat more" or "need to eat some cakes"? 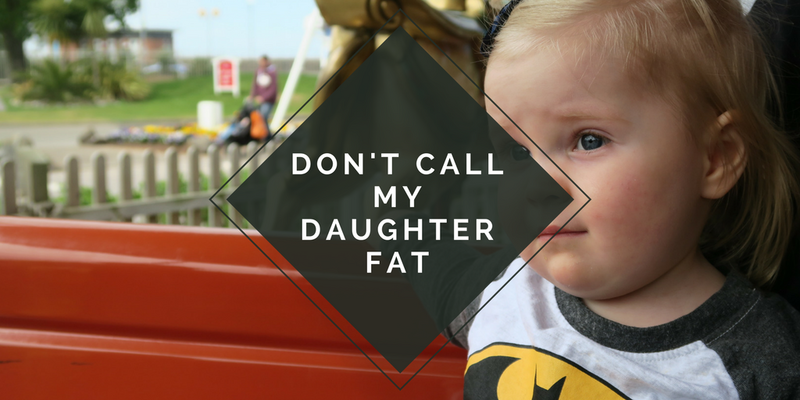 Is it acceptable to use the term "skinny", "fat" or even "chunky" when talking about a baby, toddler, or child? I don't think so. In fact I think it is disgusting to judge an innocent child. Especially for something like their weight. 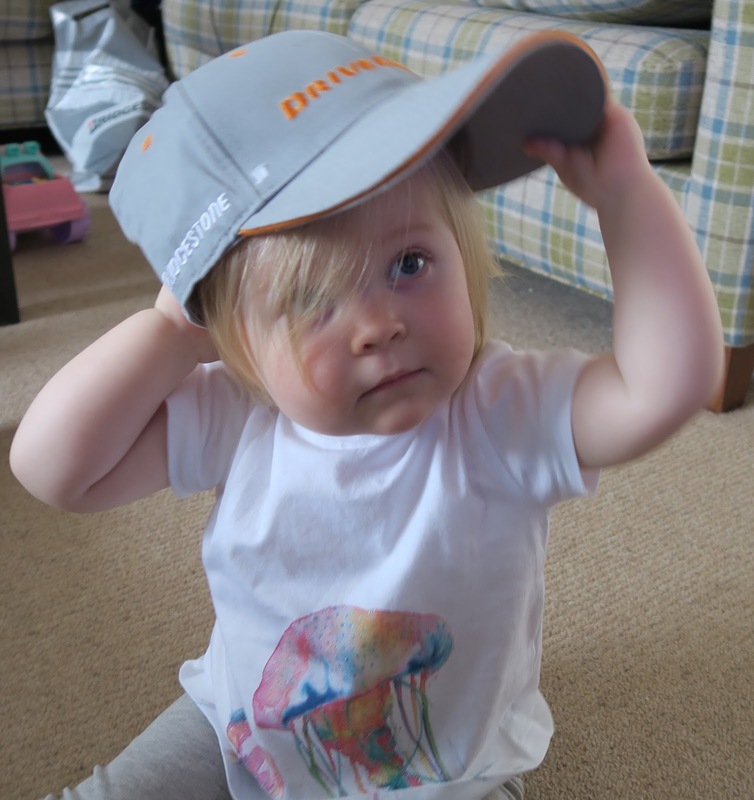 So below is a photo of my 19 month old daughter (17 and a half if you go by her corrected age). Elise was called "chunky" by a member of the public the other day. When I questioned what she meant, she followed up with "she's a little bit fat". Now personally when I look at my daughter, I don't see her as fat. She has always been petite, and is actually small for her age (wearing 9-12 and 12-18 month clothes right now). In fact I've had a number of people tell me she is tiny, or think she is a lot younger than she is. So how can she by tiny, yet fat at the same time? This isn't the first time someone has commented on her weight, in fact I've had it plenty of times. She was even called chunky as a baby, and although some people may think it is cute to call your own child "chubby" or say "look at those baby rolls", should it be acceptable for someone else to say it to you, or to your child? Is it okay for a complete stranger to say? 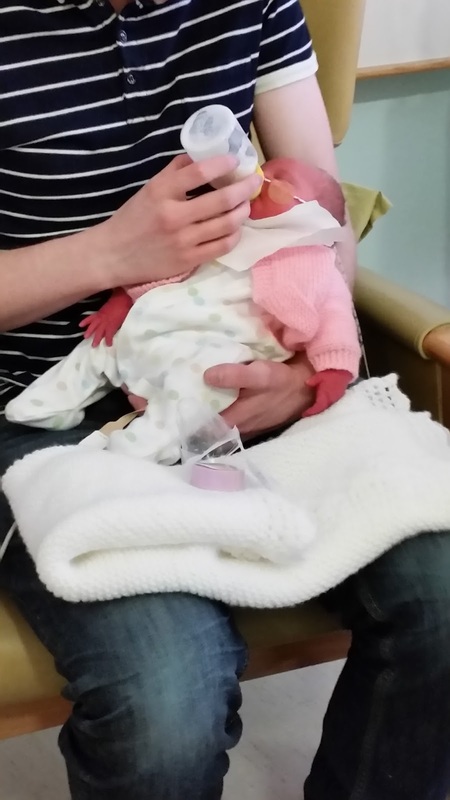 My daughter was born 6 weeks early, and although she weighed a healthy 6lbs, she was actually quite petite. She wore tiny baby clothes for over a month, and was always "behind" in her clothes sizes. She was still called chunky as people assumed she was younger than she was. I was also told if she was full term she would have been "huge". Again, I don't think it's okay to comment on another baby's weight. Some people may think it is okay, or that they should get used to hearing these words, but in my opinion, the word fat or chunky can NEVER be used in a positive light. Society has made it a negative feature, and there are even shows like Supersize Vs Super Skinny, or Secret Eaters that focus on someones size and tells them exactly what size they should be. I even saw a children's version of "Fat Camp" and "Supersize Vs Super Skinny". It seems acceptable to put shows like this on at prime time for other people's entertainment. It seems okay for shows like "Next Top Model" to keep mentioning how someone is too skinny and should eat more, or that they need to lose weight. It's not even a show about weight, but it is constantly mentioned. Does my daughter have to go through life worrying about if she is eating enough, or even too much in front of other people. Isn't this how eating disorders can happen, and how children can become obsessed with how they look, and that they want to look like the photoshopped images in a magazine?! I'm already worried about Elise being bullied at school over a number of things. I was bullied at school. I was a "little bit chubby" when I went to secondary school and by year 9 the bullying was unbearable. Even when I told the teachers, I was told I was too sensitive. The end result? I stopped eating. I hid my food so it looked like I was eating my lunch, when in reality (and quite embarrassingly, and something I haven't shared to the public before) I was hiding the food in my locker to rot. I didn't go to lessons anymore, and spent my time hiding in the various toilets at school. I spent every lunchtime at the school gym trying to slim down enough for the bullying to stop. Is this the future for my daughter? Is it going to take months for someone to realise the problem if she stops eating? I know that I will notice, but what if she tells someone at school and is classed as "fussy" or a "trouble maker" just because she stands up for herself? I'm classed as obese now, but don't judge me, because you don't know my story, and my battle with food. You don't know that I was in a car accident at the age of 19, and my confidence went downhill. You don't know that I was diagnosed with Epilepsy shortly after, and I had to change my path in life completely. I could no longer pursue a career in photojournalism, or forensic photography. You don't know that I became very depressed and took an overdose more than once. You don't know that my anxiety was so bad a few years ago that I became practically housebound for two years. You don't know that I lost all my friends during this time, and even now my husband is pretty much my only friend. You don't know that I also have a problem with my thyroid. You don't know all the issues I have with food, and how I panic every single time my husband asks me "What do you want for dinner". You don't know that I obsess over the same food for weeks, and have to eat exactly the same meal. You don't know that I've grown up being asked when I'm going on a diet, or when I'm going to lose weight. It was a massive feature of my life. I was even told that my eating disorder wasn't as bad as someone else's, so I had no right to talk about it or be concerned. I don't talk to them anymore. Sometimes you have to get rid of the negativity, even if it is your own family. You don't know me, so please stranger in the street, or "friend", don't judge me. You don't know my daughter so don't judge her. Don't you dare judge an innocent child on their weight, just because society dictates how you should look. Don't make her grow up in a world that will focus on her weight, instead of how clever, or creative she is. Don't talk to me about weight, and your opinion on how I should look, and what example I should be setting my daughter. 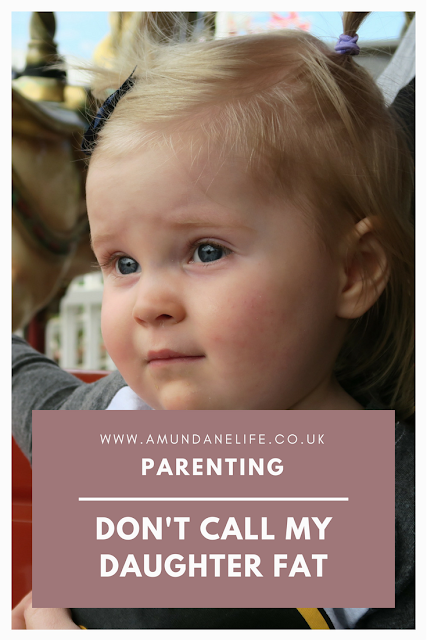 I'VE LINKED UP TO HONEST MUM'S BRILLIANT BLOG POSTS LINKY WITH THIS POST. MAKE SURE YOU GO AND READ SOME AMAZING BLOG POSTS THROUGH THIS LINKY. Thank you to everyone who is willing to share this and get the message out there. I'd love to hear your opinions on this, so please leave me some comments! I think you are totally right. Even in the womb people were calling my brother fat because of sizing scans and I just felt so annoyed that he was already labelled by such an ugly word yet he wasn't even born (he turned out to be a healthy 8lb2 baby and even now falls directly on his percentile) I was always bullied for my size and I just don't believe introducing the word fat to a child is healthy, in a world obsessed with body image starting them that young on words like fat is bound to be detrimental. Totally agreed. A great post Sarah and I've just shared it. Can't we (society) just all be happy that we have happy and healthy children? I'd hate to think that this obsession for 'body perfection' is starting to reach our children. Keep em coming Sarah! I think it is different if you are calling your own baby chunky. But when strangers choose to make a point of it, saying they are fat and what are you feeding them, and maybe you should be getting them moving a bit more, it becomes an entirely different matter. People do use it in a nasty way, and it's great that you haven't experienced that negativity. It's nice to hear from both sides, so thank you for commenting and giving your opinion. It is true that experiences have an impact on how you view things, but I'm also not talking about her baby rolls, or that she is squishy. I'm talking about how people actually make a point of saying they are fat. I'm pinning this! Thank you so much for sharing; it is so important. I think the only time it's appropriate to discuss a child's weight is in periods of genuine concern and only discussed with the parent of that child. I went to school with a boy who was so obese his stomach burst twice before he was 12. Social services were eventually involved because of concerns for the welfare him and his siblings. At the opposite end, my mother was advised to take me to a doctor by the school nurse because, at age 11, I was so under weight I had a BMI of just over 16. She never took me, because who did this woman think she was telling HER how to raise HER child. I was sick and needed help but her pride was more important. Sometimes outside intervention can be the difference between life and death for a child where their weight is concerned. Sure, I don't agree with someone shouting Fatty Fatty Boom Boom from across the street; but sometimes off hand comments (even from a stranger) can make us aware of something our Mummy Goggles can make us blind to.